Brit Rugby Player Keegan Hirst Comes Out: "I’m from Batley for goodness sake. No one is gay in Batley." 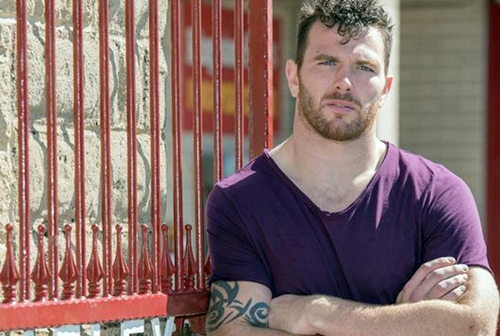 Keegan Hirst who’s a Prop Forward with the Batley Bulldogs, became the first openly gay rugby league player this weekend after an open and emotional interview with The Sunday Mirror: “At first I couldn’t even say ‘I’m gay’ in my head, let alone out loud. “Now I feel like I’m letting out a long breath that I’ve held in for a long time. “On the worst days I’d think, ‘I can’t do this, I’d rather be dead than for it all to come out. I never got as far as actually tying a noose or having tablets in my hand. But I thought how I would do it, where I would do it, when I would do it. Thankfully I have friends and family I love and was able to talk myself out of it. Keegan came out to his wife after he realised she blamed herself for their marriage break-up. She “didn’t ask a lot of questions,” when he spoke to her, “but she was supportive”. Line up for the scrum starts HERE after me.